Orlando Theme Park Tip: Take a brisk walk in the clothes you plan to wear to Disney World, Universal Orlando, or SeaWorld to see if they remain comfortable. Once you've planned your clothes for your trip to the Florida theme parks, test your outfits by walking briskly around the block because you'll probably walk 6-10 miles over the course of a day in the Orlando theme parks. Dealing with shorts that scrunch up all day or that shirt button that keeps unbuttoning when you walk is not how you want to spend the precious vacation time you've worked so hard for. Have your kids test their clothes too. Although you can find apparel at the theme park gift shops, it is easier and less expensive to make adjustments to your vacation wardrobe before you go. Orlando Theme Park Vacation Tip - Test your shoes and socks before your trip to Disney World, Universal Orlando, and SeaWorld. You'll do a lot of walking and you want your feet to be comfortable. Think too about how quickly or slowly your clothes dry because you might get soaked to the skin on Splash Mountain (Magic Kingdom) or Kali River Rapids (Animal Kingdom) at Disney World, Dudley Do-Right's Rip-Saw Falls or Popeye and Bluto's Bilge-Rat Barges (Islands of Adventure) at Universal Orlando, and Journey to Atlantis or the Shamu show at SeaWorld. Click here for Monica's rain poncho tips. 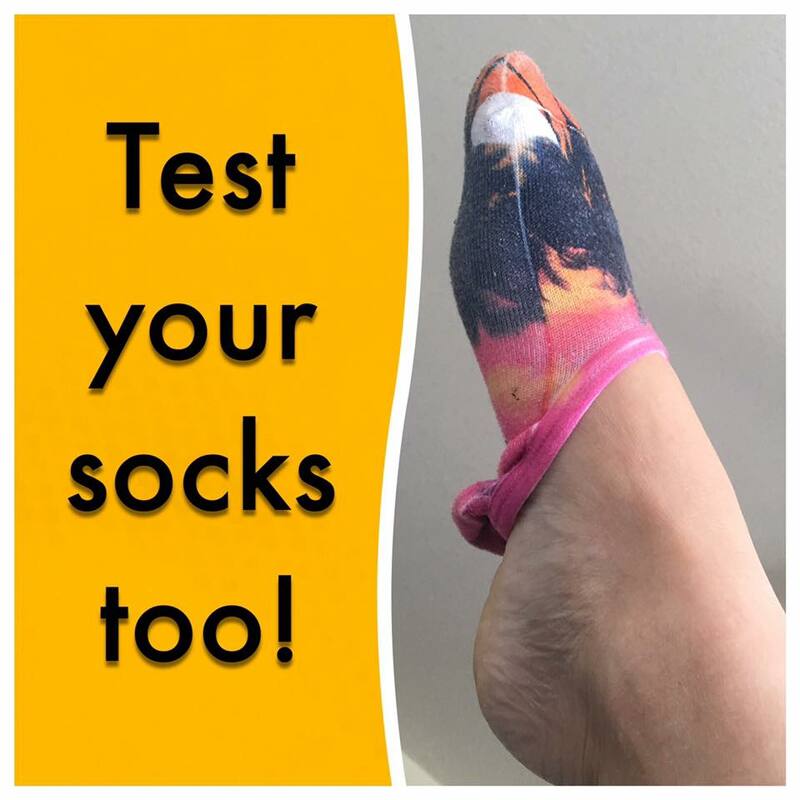 Don't forget to take your socks for a test drive (test walk?) in the shoes you plan to wear to the park. I once had to hunt for a gift shop at Disney California Adventure that sells socks because the pair I was wearing kept sliding down and bunching up in the middle of my shoe. Jeni says, "I remember having all new clothes / undergarments / socks. Bra + see through shirts...definitely not cute!" Kathy added this great suggestion: "And definitely DO NOT BUY NEW SHOES. Learned that the hard way on my trip there in 2000. Had to use my mother's wheelchair in EPCOT because my feet hurt so bad." Speaking of shoes, Toni wrote a great article on picking shoes that will keep your feet happy in the Disney World and Universal Orlando theme parks. Click here to read it.